and receive $10 off your order. SalsaNow team wears shoes ordered from these online vendors. 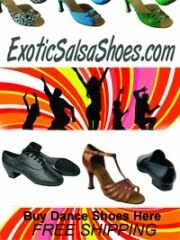 Get a discount on your dance shoes by buying them through SalsaNow. Use Promo Code SALSANOW for 10% off your order.